With all the amazing styles out there, it's easy to get overwhelmed when shopping for an engagement ring. No matter where you are in the ring shopping process, it's nice to have a little expert advice to point you in the right direction. 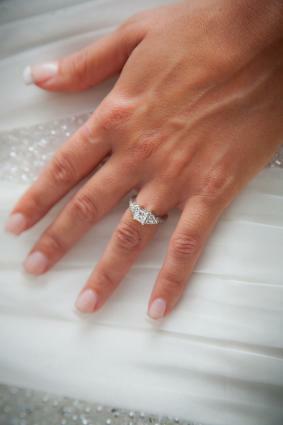 LoveToKnow Engagement Rings is here to put you in touch with experts in the jewelry industry. Their tips will make the shopping process simpler and more enjoyable. From prongs to pave-settings, platinum to white gold, there's a lot that goes into choosing a style and setting. Get expert advice to help. Learn about the hottest engagement ring styles from a jewelry designer and gemologist. Get the latest information on celebrity engagement ring trends from a celebrity style expert. Find out about pave diamond ring settings from the CEO of a major jewelry company. Discover mokume gane engagement rings, as explained by a master goldsmith. Get tips on choosing a Celtic engagement ring from a major Irish jewelry company. Once you've chosen a style, it's time to select the perfect diamond or gem to go in it. Expert advice can really come in handy. Find out about all the best diamond shapes from a certified gemologist. Learn about yellow diamonds and how to buy one for an engagement ring. Read up on man-made diamonds and get advice from the CEO of a diamond lab. Find out about the famous Asscher cut from a master jeweler. Whether you're just starting the search for the perfect ring or you're trying to finalize your decision, expert advice is a must. After all, an engagement ring is a major investment, both financially and emotionally.